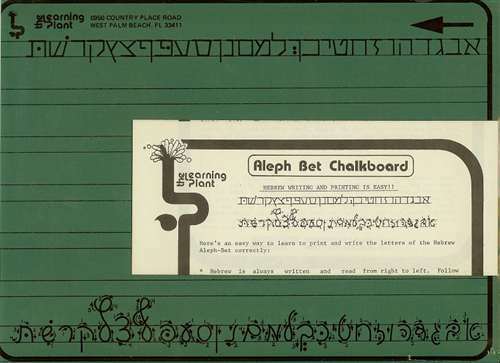 Unique, student sized chalkboard with pre-printed Block and Cursive Aleph Bet letters and Hebrew practice lines. Great gift for beginning or graduating Hebrew students! Measures 12 in. x 9 in.